Создание текстурной развертки в ZBrush. 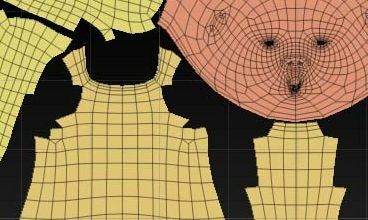 «UVs are what tell your software how to wrap a texture on a 3D model. I’ll go over a method to simply UV map a model in a single piece as well as how to create a UV layout with multiple parts created off a single model. In my case I used 3DS Max, but it should apply regardless of your animation software. a) A model to apply UVs. Этот урок покажет читателю, как сделать текстурную развертку используя плагин UV Master, ссылка на который указаны в тексте урока.